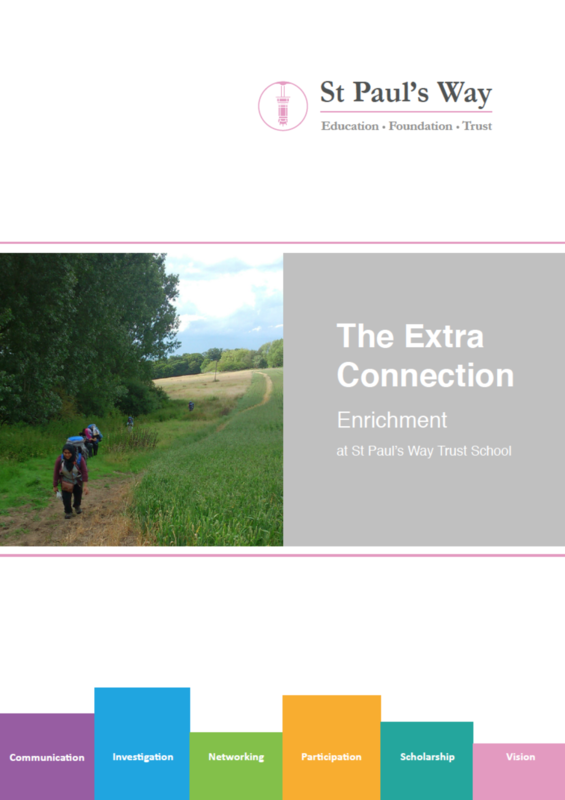 Enrichment and extra curricular activities are woven into the fabric of what we offer at St Paul's Way Trust School. Through a wide ranging programme, our youngsters are provided with opportunities that expand their mind and develop their abilities across our graduate skills; communication, investigation, networking, participation, scholarship and vision. Below you can find a provisional list of activities and a publication showing examples of other fascinating opportunities. Please note the posters are provisional and subject to change. Always ask your teachers for details and have fun! please refer to the links above for the latest preliminary tables - Always Ask your teachers for details on activities.